Owning a pool can provide hours of enjoyment for you and your family. Mr Pool Service can address mechanical failures, equipment repairs and plumbing issues which can all happen as a result of age, weather and usage. Our company is licensed for pump repair, salt system repair, time clock repairs, filter and plumbing repairs as well as pool sweep repairs and most of your pool needs . Mr. Pool Service offers a full range of salt system options. Most pools can be converted to a salt system with the right equipment. We can also maintain and service salt systems as well as repair problems with a salt system. Manufacturers recommend that DE and Cartridge filters be disassembled and cleaned twice a year. At Mr. Pool Service, filter cleaning includes a full disassemble and cleaning of dirt and debris by hand. We do not just open the top an clean or clean without a full disassemble. We inspect the entire assembly, adjust the assembly to make the parts wear more evenly and reassemble the filter. We guarantee the filter will work properly and take responsibility to re-seal and close up the system properly. We know the importance and safety of having a clean pool and work hard with years of experience in the pool service industry to ensure our customers' satisfaction. Mr. Pool Service technicians take away the burden of testing chemicals, netting and vacuuming debris, and maintaining your equipment to ensure you can enjoy your pool in Florida year round. Mr. Pool Service provides a variety of pool and spa maintenance services to our customers. We offer full service plans at a practical price! we have TONS of happy customers! Please click on the BBB logo to see what people are saying about us! So your pool has a little algae? This photo usually makes people feel a little better about their pool. 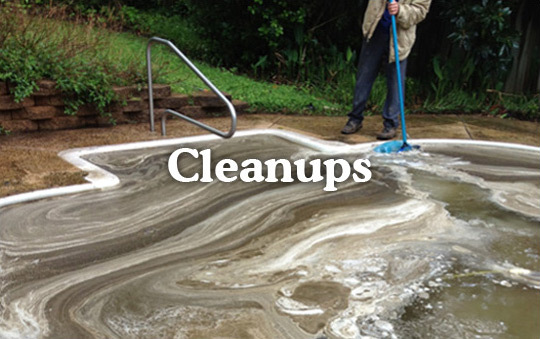 Our experienced Service Techs were able to turn this fouled pool back to clear and sparkling. Call us for an estimate on cleaning your pool! A properly working filtration system is critical in maintaining clear and inviting water. 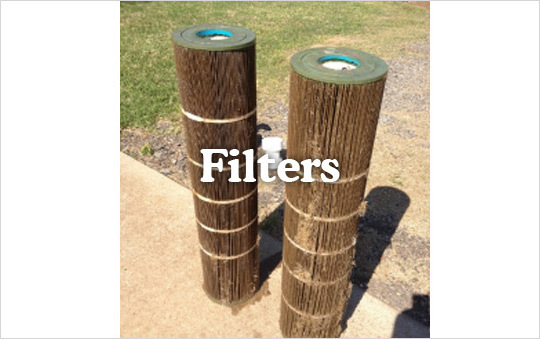 We can keep your filter in tip top shape, whether you have a DE, Cartridge, or Sand filter. We can clean existing cartridges or DE grids, install new ones, replace your sand, or install a complete new filter.